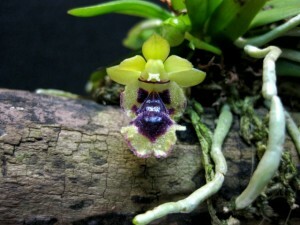 The following guest post is an interview with Brian Schlittenhardt, the manager of Seattle Orchid. They offer a HUGE selection of gorgeous orchids in all sizes and colors. If you’re in the market for a new orchid to add to your collection (or even if you’re not) be sure to check out the Seattle Orchid website. You definitely don’t want to miss out! Ryan: How did Seattle Orchid come about? How long have you been in business? Brian: Seattle Orchid was founded by two hobbyists, Alan Mathews and myself, who discovered a lack of suppliers in the Northwest Pacific region. We have been in business for five years supplying orchid species nationwide, flowers for florists, and displays for corporate offices and lobbies. Where Can I Shop For Your Orchids? Ryan: Do you have a retail location our readers can visit? Or attend/sell at local orchid shows? Brian: Seattle Orchid has a retail store in the Ballard neighborhood of Seattle. Our address is 928 NW 49th Street, Seattle, WA. We attend shows throughout the season locally including Portland and cities throughout the Northwest. Unlike your typical Greenhouse, we grow our orchids artificially under grow lights in a warehouse. Most of our customers do not have a greenhouse — We grow artificially to show you can be successful with orchids in regular households. Ryan: We absolutely love your incredible selection of orchids! Miniature Orchids, Terrarium Orchids, Orchids in Bloom, Orchids in Flasks, and Fragrant Orchids…just to name a few of your options. We’d love to learn more…. Ryan: Tell us about your current selection of fragrant orchids. What fragrant orchid would you recommend most to our readers? Ryan: Some of our readers have never purchased an orchid from an online retailer. Can you tell us a bit about how they can find an orchid that will thrive in their environment (using your Hot/Warm/Cool/Cold categories on the website)? Brian: If you’re looking for a particular orchid to thrive in your environment, research is key and recommended prior to purchasing. Most households grow in an intermediate/warm range and we have a Category with the temperature ranges available. Compare your growing areas temperatures with what we have listed. Keep in mind your light levels as well, as it’s another important factor in successfully flowering orchids. If you’re unsure, we’re happy to help and provide recommendations. Ryan: Do you grow orchids at home? How large is your personal orchid collection? Where do you grow them? Brian: Yes, Alan and I both grow orchids at home. My personal collection is over 100 miniatures and I live in a small complex right in the city of Seattle. I grow them in east and a filtered southern windowsill with growlights in the winter, since we lack winter sun. Brian: This is always a difficult question to answer. 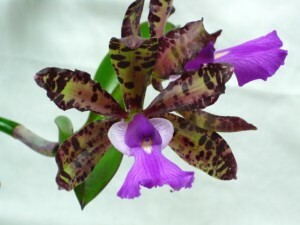 Most orchid hobbyists have several favorites with a continued growing list. 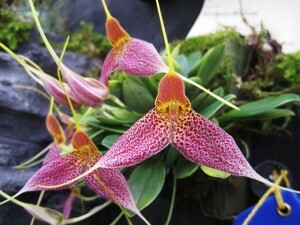 My favorite genus’ to grow are Bulbophyllum, Phragmipedium, Paphiopedilum for their ease and lower light requirements. Brian: When I started out growing orchids, a mentor who had been growing for several years told me this: “Do your research, read books, ask professional growers, and view the abundance of information on the internet. Success always comes with knowledge.” I’ve studied over 2000 species and have understood their cultural requirements. Moreso, I know what I can grow and what I cannot. Seattle Orchid supplies orchid species nationwide, flowers by florists, and displays for corporate offices and lobbies. You can shop their incredible selection of orchids online, at their retail location in Seattle, Washington, or visit them at shows throughout the season locally including Portland and cities throughout the Northwest. 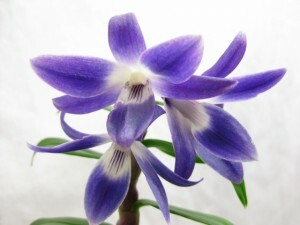 And remember, by signing up to the Green Thumb Club today, you’ll save 10% on your entire Seattle Orchid online order. After becoming a member, you’ll get access to a special coupon code (not available to the public) which you can use to get the discount off the site.